Local SEO – WebAtude – Internet Marketing Done Right! Local Search shouldn’t be ignored especially if your business sells products or services within you geographic area. WebAtude realizes that this little principle is easily forgotten or ignored, as it is a key part of your overall marketing campaign. People who use the Internet have, at one time or another, found themselves frustrated when their web search comes up empty and unable to give them their desired results. Our WebAtude team knows how to make you an Internet success, giving you accurate results to make your business easily found in any search engine. WebAtude understands how crucial it is to know what people are looking for and using local search helps to put you on the map. Identifying local search terms and optimizing your site by using web analytics optimizes your business website to become more enhanced to your particular market and area where you will get found. WebAtude knows how to use local search. We understand that it is a method used to post content including local terms, your own town or city in descriptions and titles, addresses, phone number, and business name to help search engines index the information. This is just one of the first steps we use to target your particular business in your local market. Our team knows that potential customers often seek out local businesses first, but they need to know where you are in order to do so. This is why our highly trained team works to only include the specifics terms, links, and word variation that will drive your local community and generate traffic to establish your business as an authority. 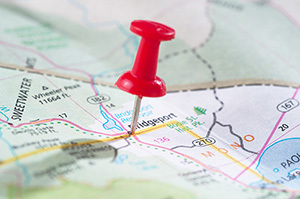 Having geographically relevant content and developing an internal link strategy will help power up your website while optimizing your online standing to reach the customers that are closest to you. WebAtude doesn’t want you to miss out on all of the opportunities that are out there. Optimize your local search with WebAtude to have better rankings and watch your listing climb to the top.